"Why should [Arthur Machen] be allowed, for the sake of a few miserable pounds, to cast into our midst these monstrous creations of his diseased brain?" A Hideous Bit of Morbidity: An Anthology of Horror Criticism from the Enlightenment to World War I brings together more than ninety pieces of literary criticism published before 1918 that discuss, review, critique, and explore masterpieces of the horror genre. Today, scholars, historians, and literary critics routinely describe the horror genre as emerging in the wake of Horace Walpole's Gothic classic The Castle of Otranto (1764) and developing throughout the nineteenth century through such landmarks as Frankenstein, The Strange Case of Dr. Jekyll and Mr. Hyde, and Dracula. In this view, the progression from Gothic romance to all-out tale of terror takes on the appearance of inevitability, and the cardinal works of the era stand like immovable sentinels guarding the genre’s gates. However, the story of horror did not appear so clean-cut to those who experienced it first-hand. Until H.P. 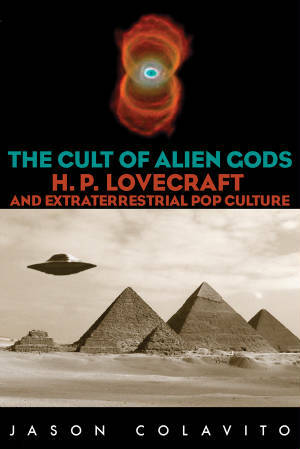 Lovecraft defined supernatural horror in a 1922 essay, there was no recognized "horror genre" at all; the works we see today as ancestors of Psycho and Saw were seen in their day as fantasies, romances, or tales of the outré and were discussed as such, making contemporaneous discussions of Victorian horror challenging to find. This edited collection brings together a range of original articles, excerpts, letters, advertisements, and other publications to provide an intriguing glimpse at the way the developing horror genre was viewed by its contemporaries. The collection will cover the 150 years from the beginning of horror in 1764 through the end of World War I, when the "classic" horror story gave way to modern genre horror in the wake of the war. These collected pieces provide a rarely-seen view of horror classics. In the process of reading these pieces the reader will come to reassess received scholarly paradigms about horror and view the emerging genre through the eyes of critics, often hostile, who attempted to fit horror into the dominant literary theories and paradigms of the day. For example, Jekyll and Hyde was the subject of intense debate in the Victorian press, while Dracula, later subject of intense scrutiny, was quickly dismissed as the equivalent of beach reading. The reader will become reacquainted with forgotten authors like Robert Hichens and Frederick Cobb, once best-sellers, and see how the Victorians conceptualized tales of fear through the twin lenses of Spiritualism and scientific rationalism. The reader will also encounter Victorian moral outrage and horror's content. Most of these pieces have not been published since their original appearances in pre-World War I books and magazines. The periodicals that housed these works are often long forgotten, and lacking clear indexes, their contents are largely untraceable. Collecting these works together in one place provides a valuable resource for scholars, libraries, and all those interested in learning more about how early horror was received in the era's popular and scholarly presses. Why Read A Hideous Bit of Morbidity? The Victorian conversation about horror is now largely lost, reduced to footnotes in academic articles (if that), and this interesting discussion deserves to be heard again. Victorian views on horror shed light on our own recent debates on the value of a genre known for its shock value, and it provides a perspective unheard for a hundred years. 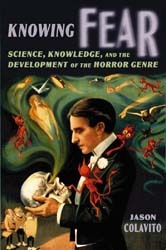 The title of the book comes from an early 20th century piece by Frederic Taber Cooper, who described Robert Hichens's horror masterpiece "How Love Came to Professor Guildea" (1900) as "a hideous bit of morbidity, which might pass for a study of insanity, if the author had not precluded that explanation..." The title embodies a particularly dismissive school of horror criticism popular in the pre-World War I era and which continues to this day.